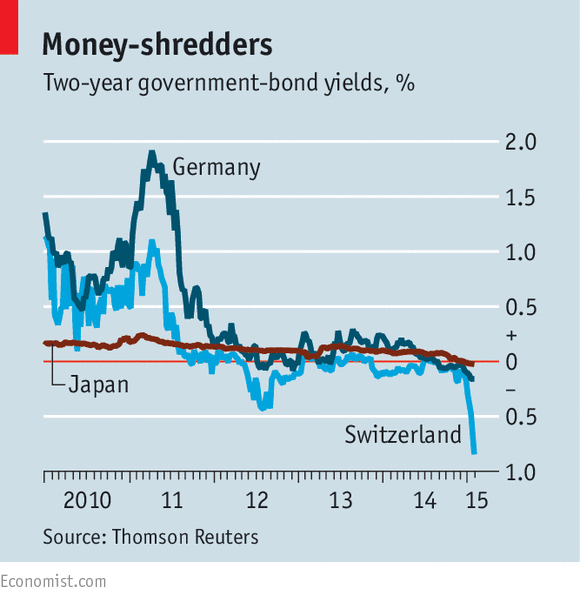 Economists keep telling us that interest rates will rise, but just the opposite is happening. At the end of January the yield on the US 10-year note fell to 1.67% – its lowest level in 20 months. Low rates are a challenge for the nation’s senior citizens, but America is actually a bright spot among developed countries around the world. Yields on European and Japanese government bonds have dipped below zero, which means investors who buy these bonds are essentially taking a loss just to hold the asset. What’s driving rates going negative? Fear – fear of deflation, fear of volatility, fear of the unknown. When interest rates fall, bond prices rise so you might think international bond funds would be trending up. However, that’s not the case right now due to the strong US dollar. 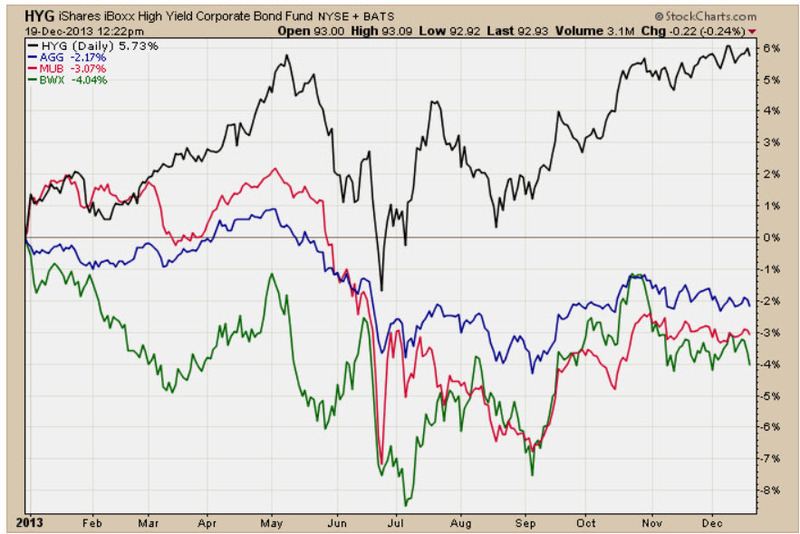 My newsletter tracks both intermediate and long-term trends for the international bond market using SPDR Lehman International Treasury Bond (BWX), a $2 billion ETF, as a proxy. My major-trend model turned bearish on September 12, 1014. The intermediate-trend model, which is more active and generally trades a few round-trips a year, issued a sell signal on July 30, 2014. 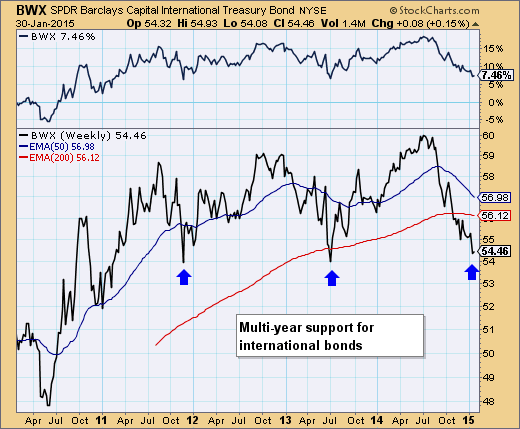 Looking at the multi-year chart of BWX, the international bond fund market could be nearing a turning point. The area around $54 has stopped price declines on two earlier occasions. If you’re interested in a currency-hedged international bond play, check out Vanguard Total International Bond (BNDX), a $30.6 billion ETF, up 1.7% in January. BNDX owns a mixture of corporate and sovereign debt.